How Bright Career Path of ScrumMaster and Agile Coach? The previous two articles shown how bright career it is to be an agile coach, and what I have learned from my jouney of agile coach. If you have the aspiration to achieve the highest level Scrum certification, just follow up this article. After the experiment of the certification last year, CTC has already opened for public application. As I learnt from the forum, there are many experts in Southeast Asia are applying for this certification, but quite few from China. Hurry up guys, I trust everyone of you, because I believe that in China there are much more professional! I joined Nokia Siemens Networks in 2007 when Agile had been promoting in the whold 3G Platform product line. In that period, there was few company dare to do large scale agile promotion globally. 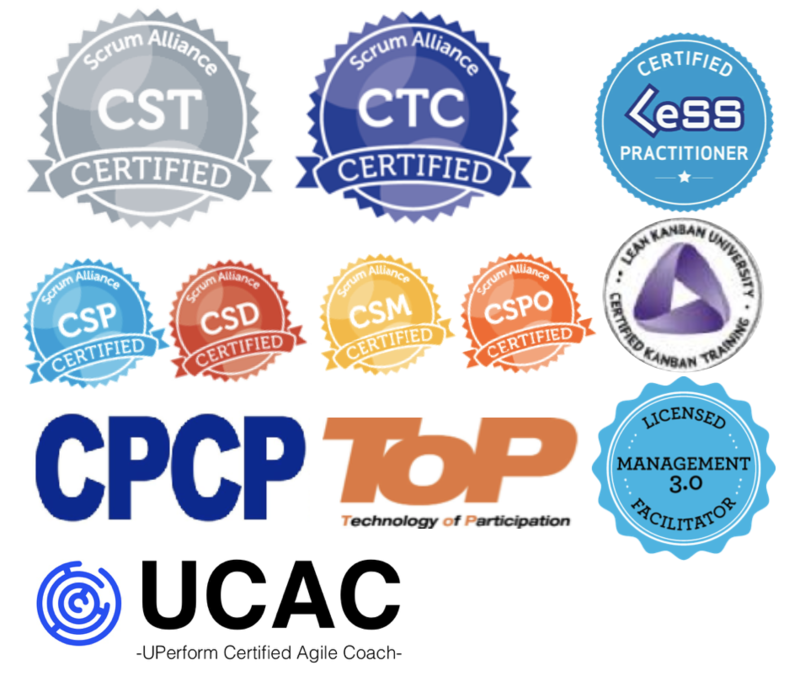 I obtained Certified Scrum Master(CSM) certification in 2008. During my career in Nokia Siemens Networks, I have been working in various roles such as Senior Software Specialist, Line Manager, Quality Manager, Project Manager, Scrum Master and Agile Coach, and had luckily worked with a lot experts in Agile. It is notexaggerate to say that Nokia Siemens Networks is like the Whampoa Military Academy of Agile in China. As per myself, I have learned and improve a lot as well in management skills, empowerment, lean concept and system thinking. In technical engineering practice, I had fully understood and adopted the concept of Continuous Integration, which is one of the useful practices in eXtreme Programming(XP). Automation Test and Refactoring was applied in my daily work as I awared the importance of Agile of Engineering Practice. The later LeSS (Large-Scale Scrum) Framework is basically originated and summarized from Nokia Siemens Networks’s experience on Organization level Agile. Agile Coach is a new role, there are some people playing that role in all the company transforming to agile but still staying on their current position. So it is inevitable to produce concerns and doubts. Some people may doubt: The company ask me do play as agile coach or ScrumMaster, what 's the prospect and How can I develop my career? Beautiful is better than ugly. Explicit is better than implicit. Simple is better than complex. Complex is better than complicated. Flat is better than nested. Sparse is better than dense. Special cases aren’t special enough to break the rules. Although practicality beats purity. Errors should never pass silently. Unless explicitly silenced. In the face of ambiguity, refuse the temptation to guess. There should be one– and preferably only one –obvious way to do it. Although that way way not be obvious at first unless you’re Dutch. Now is better than never. Although never is often better than right now. If the implementation is hard to explain, it’s a bad idea. If the implementation is easy to explain, it may be a good idea. Namespaces are one honking great idea – let’s do more of those!